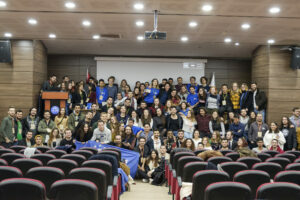 It’s been more than one month since AEGEE-Izmir was in the spotlight of the AEGEE network: on 6th – 10th of February, the antenna hosted the annual European Planning Meeting (EPM), where new objectives for the organization were set out and relevant topics – “green sustainability” and “EU-Turkey relations” – were heatedly discussed. The AEGEEan talked to the main organizer Batuhan Çarıkçı to find out more about the event – and not only. Thank you for talking to us, Batuhan! Why did you apply to host European Planning Meeting 2019 in the first place? 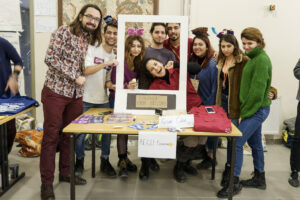 Basically, after the big positive development of AEGEE İzmir since 2016, the local needed a “good challenge” to strengthen its status in the network and keep the motivation of its members on top level. And actually, applying to host a statutory event wasn’t one of the objectives of the agenda during the previous local Agora, but after seeing a few open calls for the EPM 2019, we didn’t want to miss this chance to prepare our members for this challenge! Are you a big antenna now? There are currently more than 100 registered members, with around 40 of them actively volunteering. How many participants and organizers took part? Marie Claire Graf and Anne-Sophie Klein Gebbink as Content Managers. You chose a highly relevant and quite controversial main theme for the EPM – green sustainability. Would you say it’s a big topic in Turkey? To be honest, I don’t think people take “green sustainability” as a big topic yet, unfortunately. Turkey has currently many other issues to deal with, like corruption, social unrest and economic instability. Apart from that, there is the fact of “having been near the warzones of Iraq and Syria for many years” next to them, so the labyrinth is getting more complicated and year by year we have more military expenses, rather than investing into sustainable solutions for the environment. What is the government strategy on sustainability in Turkey? They have passed laws to reduce the consumption of plastic pouches like the EU. They are very rarely doing fine things, but this one was a good move, indeed. There’s still long way to go though, especially in recycling. They should cooperate closer with all the municipalities, but of course if they can find some time to cooperate with them, instead of seeing them only as “castles to conquer”. Apart from that, we should keep in mind that they are still trying to build fossil fuel plants around the country, as if we are in 20th Century. Fortunately, most of those attempts were precluded by strong cooperation between activists and some NGOs. Let’s now talk a bit about the host city. What is particularly famous about Izmir? What is the historical importance of the city? Its cuisine for sure! Sorry, I can’t continue without talking about food! Izmir has a great variety of seafood and mezes, with the combination of the traditional alcoholic drink “rakı”, which includes anis. Next to it, the most famous beer brand of Turkey “Efes” (Ephesus in English) is coming from İzmir. Apart from that, Izmir is a good destination for sun, sea and beach kind of holidays. She also has very rich options for history lovers, there are 15 ancient cities within her metropolitan borders, including the famous ones Ephesus and Pergamon! We can’t help mentioning the very special anthem of Izmir. In past, it was symbolizing the liberation of İzmir on 9th of September 1922, but today, after almost hundred years, it’s symbolizing the political stand of İzmir, independent from its lyrics. How was the EPM? Are you satisfied with the outcomes? 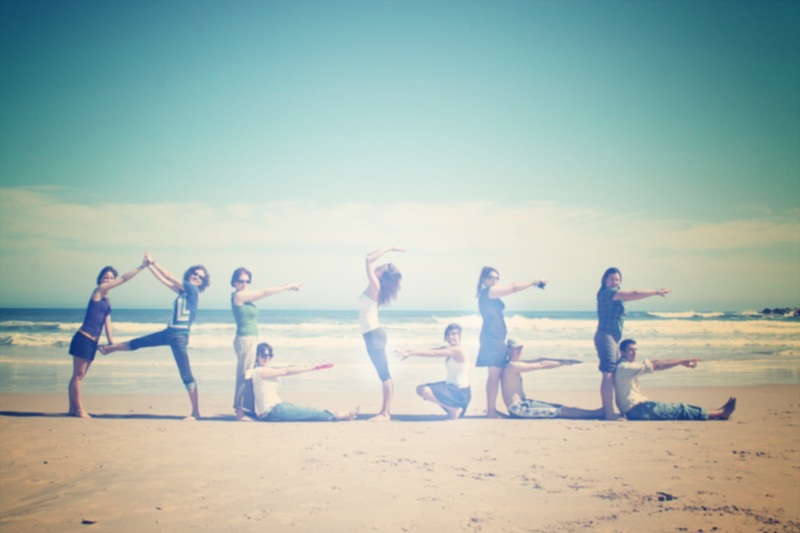 It went much more comfortable and stress-free, when I compare to the preparation period. Here once again I want to highlight the perfect job of all our organizers and helpers during the event; their motivation and concentration was always high. Next to that, we had a very good group of participants, which I think did good job with creating an active vibe during the content part and drafting an impactful agenda for next year. Do you have plans for organizing more events like EPM? I think, we are done with statutory events in Turkey -for now-. But, of course AEGEE İzmir will keep organizing international events, and hopefully the number will get higher year by year.